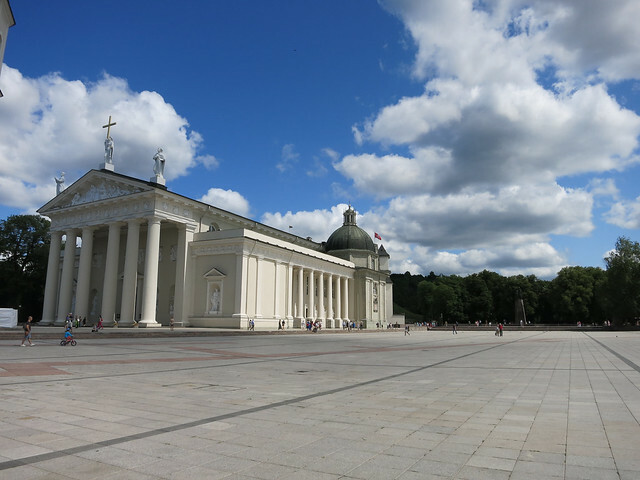 After leaving Tallinn, we decided to stop for a few days in Vilinius, Lithuania, mainly to avoid taking a 24-hour bus ride from Tallinn to Krakow. The bus ride was about 9 hours and it wasn’t as enjoyable us our previous ride, but it was acceptable. Most people go from Tallinn to Riga, spend a couple of nights in Riga, and then head to Vilnius, but we only have 90 days in the Shengen Zone so we didn’t want to spend too much time in the Baltic cities. Sorry, Baltic peeps.